The award-winning Hain System is an automated solar panel snow removal system. Its German Engineered design optimizes solar panel production during the winter. Since 2009, the Hain System has been utilized on sites across Europe. Once snowfall stops, the system automatically switches back into production mode! The Hain System guarantees full production as soon as the sun comes out. Eliminating costly, slower manual snow removal methods. The Hain System will keep your solar panels clear of snow while keeping your warranty intact. How does the Hain System work? Simple! When the Hain System’s sensors detect 1cm of snowfall, your system’s inverter is switched off and the Eulektra Solar Reverter is triggered. The Reverter takes alternating current from the public grid, converts it into direct current and securely feeds it to the solar modules through the Hain System. 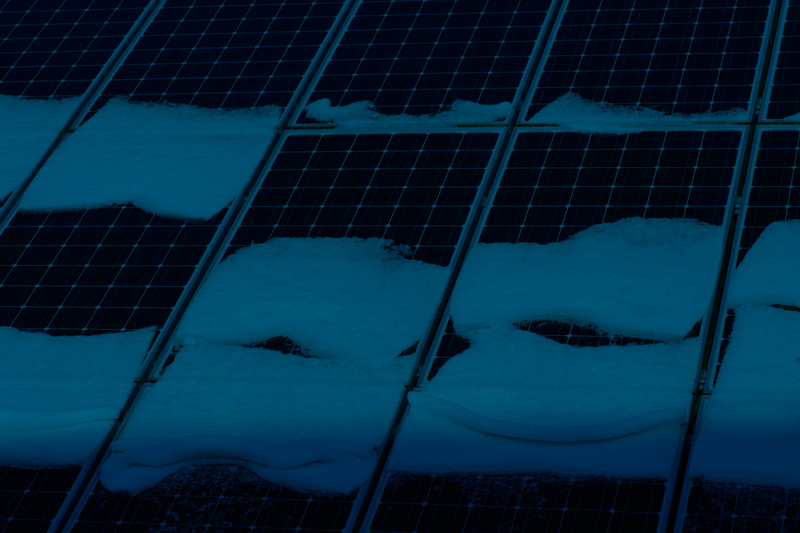 The solar modules gradually warm the panels and begin melting snow or ice. When the sensors detect that snowfall has stopped, the Eulektra Solar Reverter is switched off and the inverter is powered back on; production of electricity automatically resumes. *Since all PV systems are designed to safely carry voltage overloads, the Hain System will not affect the warranty nor the quality or performance after it switches back into production mode.